God Calls Us To Himself DVD - Fr. Wade Menezes - 2 DVD Set / 2.5 Hrs. Gospel of Life vs. Culture of Death DVD - Fr. Wade Menezes - 3 DVD Set / 5 Hrs. 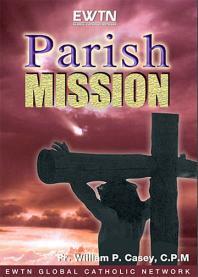 Parish Mission - Fr. William Casey - 6 Audio CD Set - 6 Hrs. Ten Commandments of Family Life DVD - Fr. Wade Menezes - 2 DVD Set / 2.5 Hrs.